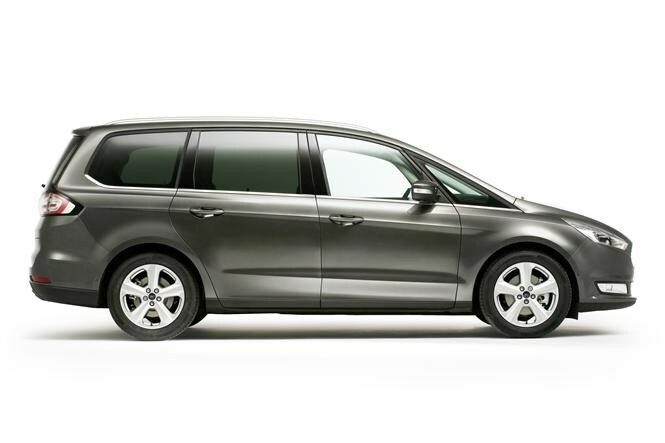 Prices for the revamped Ford Galaxy will start at £26,445, and there will be a range of trim levels including Zetec, Titanium and Titanium X. For the first time you will also be able to buy a Galaxy with intelligent all-wheel drive. The system, which can send 100 percent of the engine's power to the front or rear axle to maintain grip, will be available with the 148bhp or 178bhp 2.0-litre diesel engine. 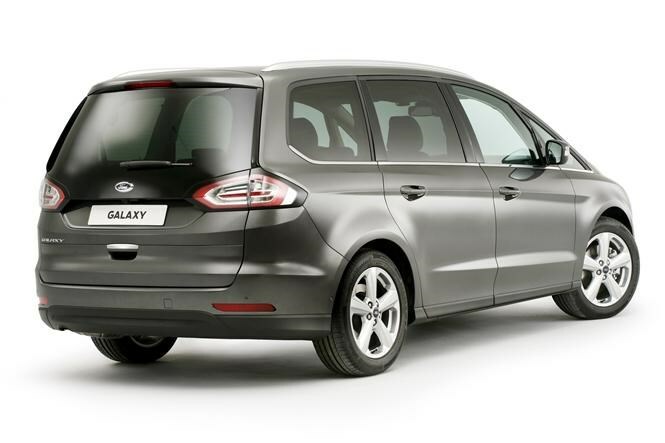 Details of the new Galaxy were released following the launch of the closely related S-Max, boasting a higher roofline at the back than the sportier S-Max, liberating greater headroom for adult passengers, with numerous clever features included in the Ford’s package. Galaxy customers tend to opt for it over the S-Max due to the rearmost pair of seats being large enough to accommodate two adults rather than just children. While the middle row of seats has 10mm more headroom than the outgoing Galaxy, the third row has an extra 40mm. 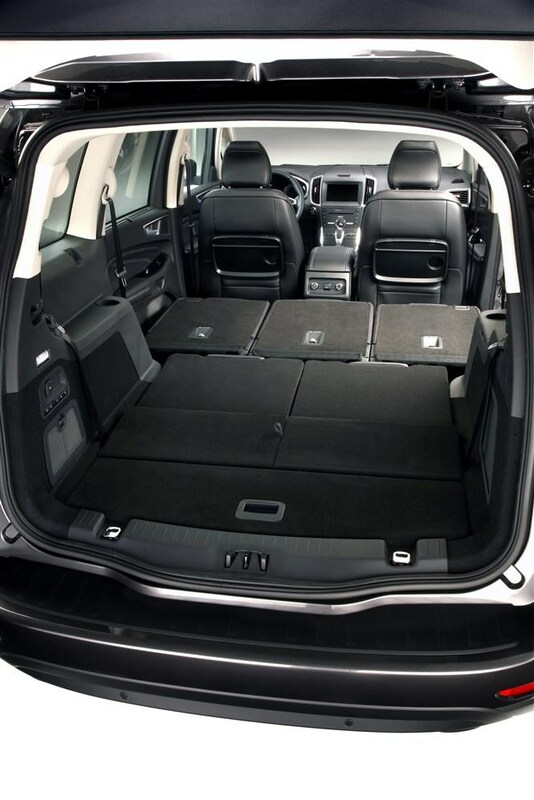 Additionally the back seats slide, recline and benefit from separate climate control settings. 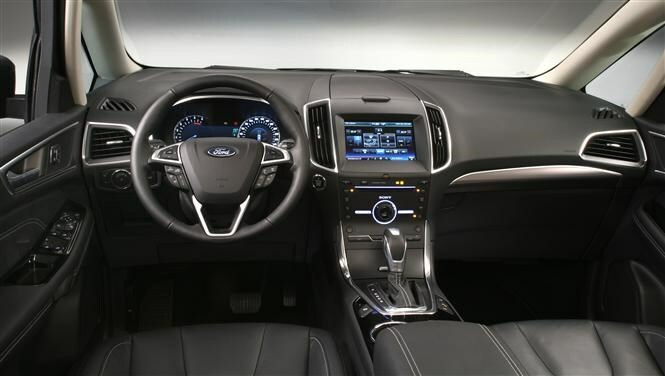 Unlike some rivals, Ford has retained conventionally opening rather than sliding doors for the Galaxy, citing space interior compromises when fitting the latter. The latest Galaxy improves overall flexibility and practicality too: not only can all five rear seats be folded electrically using buttons in the boot, the third row seats can also be raised under their own power too. There are more storage cubbies around the cabin, plus a 20-litre well under the boot floor allowing slightly taller loads to be transported more easily. Elsewhere Ford has retuned the Galaxy’s suspension settings to further improve comfort (self-levelling is available at the rear) as well as to reduce road noise transmitted to the cabin. Front seat passengers can opt to enjoy massaging ‘multi-contour’ seats for an even higher level of luxury. With heavy loads carried and long-distances covered by many Galaxy owners, it’s unsurprising that economical diesel engines make up two thirds of the powerplants on offer in the latest model. Exact performance and economy data will be revealed at a later date, but the 118bhp 2-litre TDCi diesel is likely to be the least expensive to run. If that sounds a little underpowered for your needs, the engine also comes in 148bhp and 178bhp states of tune, while a twin-turbo version of this motor produces 207bhp. If you don’t drive high mileage distances with great frequency, then a petrol engine could suit you better. The Galaxy has two turbocharged EcoBoosts on offer: a 1.5-litre with 158bhp and a 2-litre range-topper producing 237bhp. All new Galaxys feature a fuel-saving stop/start function, regenerative battery charging when braking and coasting and vents that shut off behind the grille to improve aerodynamics when less engine cooling’s required. 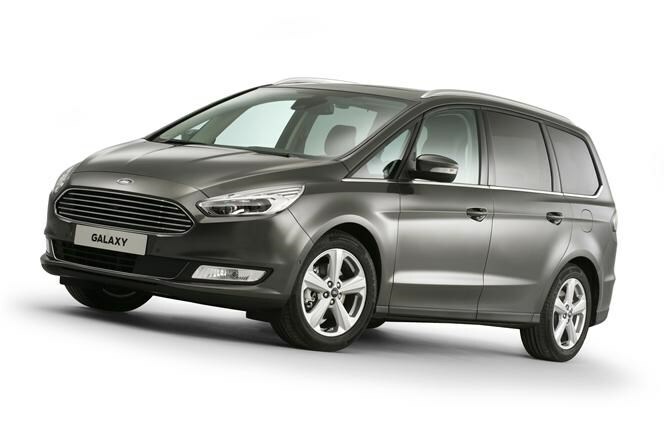 As with other recent products from Ford, the latest Galaxy is packed with technology aimed at making the large MPV easier to live with and an incredibly safe place in which to travel. Ford revealed its new automatic speed-limiting system on the S-Max, so it’s no surprise that the Galaxy can be similarly equipped, while the Sync2 infotainment system is already familiar from the latest Focus and Mondeo. Collision-mitigation measures scan for pedestrians helping to reduce the risk of accidents, and in certain circumstances prevent them altogether, while night driving is significantly improved with intelligent LED headlights featuring automatic main beam function. In spite of its comfort focus, Ford claims to have made the Galaxy an engaging car to drive – whether they have succeeded will be confirmed when we test it later in 2015, but by basing it on the latest Mondeo’s underpinnings the right ingredients should be there.